Barker Pacific Group’s management team is comprised of the industry’s best and brightest. Together, the team executes site selection, acquisition, development, construction management, and property management. Innovative methods combined with decades of expertise ensure that Barker Pacific remains a trailblazer in commercial development throughout the United States. Since founding Barker Pacific Group in 1983, Michael Barker has directed the development of over $3.5 billion in commercial projects. His active focus is the acquisition, development, and management of pre-leased residential and commercial projects. Over the past 45 years (since 1973), Mr. Barker has overseen the development of major projects in such cities as Los Angeles, San Francisco and the Bay Area, San Diego, San Jose, Phoenix, Houston, Miami, and Fort Lauderdale. Before starting Barker Pacific Group in 1983, Mr. Barker was an officer at Hines Interests, where he headed up development of over four million square feet of office space in Tulsa, Houston, and San Antonio. He also co-founded the asset management firm, First Houston Trust Company, in 1970. From 1968 to 1970, he served as a lending officer in the Energy Department of Citibank, New York. Mr. Barker currently serves as Chairman of the Board for the John Tracy Center, which serves hearing-impaired children. He is an active member of the Urban Land Institute and Lambda Alpha International. He is also a Board Member of Sunniva, Inc. of Vancouver. Mr. Barker holds an MBA from the University of Texas at Austin and a BBA from Abilene Christian University. Mr. Richard J. Johnson manages the company's internal operations and the underwriting of proposed projects. He analyzes the financials of deal structures, negotiates and closes project financing, and supervises the accounting staff and the asset management staff. During his tenure at Barker Pacific Group, Mr. Johnson has executed the investment in and financing of over $2 billion of commercial projects. Mr. Johnson has 50 years (since 1966) of commercial real estate financial, asset management and accounting experience. Before joining Barker Pacific Group in 1986, Mr. Johnson was a Senior Vice President at Guardian Savings and Loan in Houston, where he managed a $450 million commercial real estate portfolio consisting primarily of new construction. Prior to joining Guardian, Mr. Johnson was the CFO of Michels Financial Corporation in Milwaukee and an Audit Manager in the Milwaukee office of Arthur Andersen & Co.Michels Financial Corporation in Milwaukee and an Audit Manager in the Milwaukee office of Arthur Andersen & Co.
Mr. Johnson holds an MA in Accounting from The Ohio State University and a BBA from the University of Wisconsin - Madison. He is a Certified Public Accountant licensed in Wisconsin. Jeff Burn serves as Vice President and Controller for Barker Pacific Group. He is responsible for all aspects of accounting, finance and information technology at the company as well as financial reporting and analysis. Mr. Burn is also part of the BPG finance team for major project financings. He was responsible for several BPG projects including Xerox Centre, the Chamber Building, One Sansome, The Pier at Town Lake Tempe, Colorado Commons, 626 Wilshire, 225 Colorado, and 1235 Mission St.
Mr. Burn joined Barker Pacific Group in 2003, bringing with him a broad-based accounting management background spanning over 25 years. He has held positions as Accounting Manager, Financial Analyst, Controller and Director of Accounting Operations in various industries including retail, travel/personal service, manufacturing and consulting. Mr. Burn holds a BA in Management and Accounting from California State University, Sonoma. Mark Handin sources and evaluates office, multifamily, and mixed-use acquisition opportunities for BPG. Mr. Handin also focuses on deal-specific equity procurement and capital structure. Prior to his current role, Mr. Handin served as an Asset Manager for a 1.6 million SF +, mixed-use portfolio that was owned by BPG and a large institutional investor. In this role, Mr. Handin managed the acquisition, disposition, marketing, construction, and property management functions for the portfolio. Prior to serving in the Asset Manager role, Mr. Handin helped manage the 330,000 SF office redevelopment of 101 Continental in El Segundo, CA. Prior to his arrival at BPG in 2008, Mr. Handin served as a Development Associate for BayRock Residential, a Northern California multifamily, mixed-use developer. At BayRock, Mr. Handin focused on every aspect of the "deal cycle", from underwriting potential acquisitions, to construction project management. Mr. Handin also serves on the Charitable Board for QueensCare, which is a 501(c)(3) public charity that provides healthcare to underserved communities in Los Angeles. Mr. Handin also serves on the QueensCare Scholarship Committee and the QueensCare Grant Committee. Mr. Handin holds a MBA and MRED from the University of Southern California. Mr. Handin received his B.S. in Finance from the University of Arizona, where he was also a member of the University of Arizona Rugby Team. Nick Potter, BPG's Partner in charge of Capital Markets, oversees all capital raising requirements and financial structuring for the organization across its various real estate investment platforms. He heads up company communications and reporting with shareholders and investors and brings a deep understanding of corporate finance, investment, and strategy to the BPG team. Prior joining BPG, Potter acted as Managing Director in the Real Estate Group at CIT, where he led a loan origination team, having originated over $615M in loans. He also managed a portfolio that exceeded $735M. He formerly served as Vice President in the Commercial Real Estate Group at OneWest Bank, where he was responsible for portfolio management and new loan origination underwriting. Mr. Potter has an MBA and Master of Real Estate Development from the University of Southern California. He received his BS in Finance from Cal Poly San Luis Obispo. Mr. Jae Ho joined BPG affiliate, Union Development Co., in 2006, bringing nine years of operations experience in the self storage industry and additional experience in sales and management from the financial services and management industry. As Chief Operating Officer of Storage Solutions, Mr. Ho is responsible for the overall operations of the BPG self storage division. His duties include the budgeting, policies, procedures, overseeing accounting team and the regional managers who oversee the daily operations of all the facilities. He also reviews all capital expenditures to ensure delivery of all services, optimize spending and manage adherence to company standards. He works closely with the marketing manager for the marketing strategies for the self storage facilities. He leads the acquisition team for soliciting new acquisition, review, due-diligence and market research of potential self storage acquisitions. He formulates detailed feasibility analysis of each property for review by corporate investment team and partners. Mr. Ho's direct supervision responsibilities include 8 self storage facilities located in Northern and Southern California. Mr. Ho is closely involved in all aspects of BPG's self storage division's growth decisions.BPG's self storage division's growth decisions. Mr. Ho attended the University of California, Irvine, with a focus on Economics. Amanda M. Lavalle serves as the General Counsel for BPG. Ms. Lavalle coordinates due diligence and corporate/partnership documentation associated with BPG's many complex commercial, multi-family and self-storage real estate transactions. Additionally, Ms. Lavalle oversees office lease negotiations on behalf of many of BPG's properties, as well as day-to-day legal issues associated with the company's various portfolios. Ms. Lavalle earned her J.D. at Southwestern Law School and is an active member of the State Bar of California. She has been fortunate enough to work closely with a wide variety of BPG's most well-respected investors, partners, and lenders since 2010. Over the past 19 years, Jim Albrecht served as the lead Project Manager for Hamilton Landing, a 27-acre, multi-phased development comprising of 415,000 s.f. of first class office space. His responsibilities include budgeting, entitlements, design, permitting, and construction management. Mr. Albrecht manages base building and tenant improvement projects in the San Francisco Bay Area and Los Angeles. 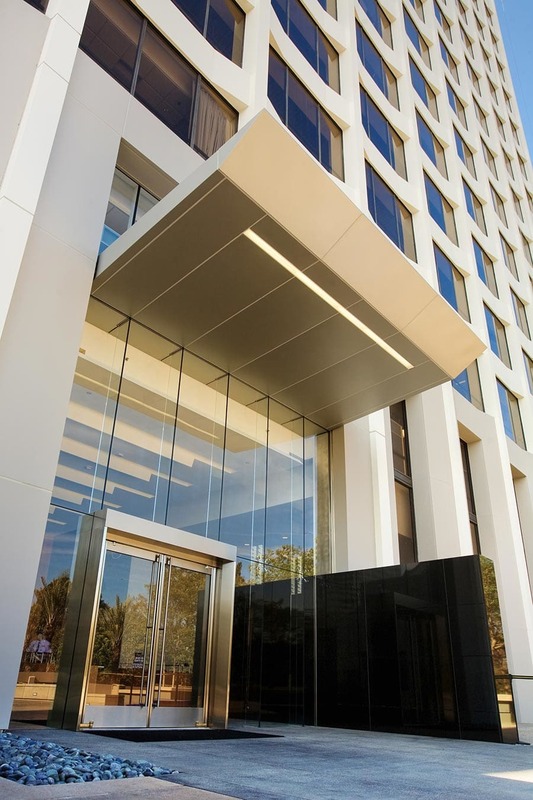 Mr. Albrecht manages the comprehensive $70M renovation of the common areas of One Sansome Street, a 43 story office building in San Francisco, CA. He also oversees all capital improvements tenant work at One Sansome. Before joining Barker Pacific Group in 1998, Mr. Albrecht served as Area Manager for Central Parking System in San Francisco, where he directed the operation of ten parking locations. He holds a BS in Accounting from the University of San Francisco. Kevin Albrecht oversees start-to-finish management of Barker Pacific Group's base building and tenant construction projects in the San Francisco Bay Area. He manages budgeting, design, purchase of materials, and contract negotiation for all projects in the Bay Area. He also performs on-site supervision of trades and oversees quality control of installations at One Sansome. Before joining Barker Pacific Group in 2006, Mr. Albrecht worked as a Project Manager/Superintendent for Swinerton Builders in San Francisco, where he was responsible for all phases of tenant improvements from budgeting and buy-out, through permitting and close-out. From 1994 to 1999, Mr. Albrecht worked as a Construction Accountant at Commercial Interior Contractors in San Mateo, CA. Mr. Albrecht holds a B.S. in Accounting from the University of San Francisco. Richard Rockley serves as Senior Accountant for Barker Pacific Group. He is responsible for all aspects of accounting and finance for the Group, as well as for major projects such as Hamilton Landing, Rowland Plaza, 101 Continental Tower, and 225 Colorado. He also oversees all matters related to tax return preparation for approximately 75 entities controlled by the firm. Mr. Rockley joined Barker Pacific Group in 2007. Previously, he held positions from Accountant to Controller in the property, finance, security, staffing, and electronics industries. He also worked for ten years as a consultant with KPMG Management Consulting, for clients in the UK, Europe, Africa, and the U.S.
Shanan came to BPG/Storage Solutions in 2006. Having worked with several property management companies, she has settled in the Storage Industry. As Storage Solutions’ Accounting Manager, she is responsible for accounts payable, month-end financials, and aids in the annual budgeting. Upon acquisition of new projects, she oversees conversion to the current software system and aids in staff training. She enjoys implementing procedures to increase the efficiency of the accounting team and has a knack for reconciling differences and researching tenant account issues. Additionally, Ms. Jackson addresses on-site operational problems as they arise and works to keep things functioning as smoothly as possible. Chris Hiramatsu joined Barker Pacific Group's self-storage affiliate, Storage Solutions, in 2015, bringing over 6 years of sales, management, and operations experience in the retail industry. As District Manager of the Northern California facilities, Mr. Hiramatsu is responsible for the oversight and direct supervision of 7 facilities and their respective Storage Department employees. He supports them in day-to-day operations, customer service, sales, marketing, safety, and ongoing training. He works closely with the COO to ensure transparent communication between the facilities and Corporate Management. Mr. Hiramatsu holds a Bachelor of Arts degree in Economics from California State University, Long Beach. Mr. Christian Perez has worked in Accounting/Finance for the last 19 years (since 1998). Mr. Perez worked for Union Development Company, Inc./Barker Pacific Group as a Financial Analyst; he was responsible for preparing and analyzing financial plans, forecasts and reports for 26 properties ranging from Self-Storage Facilities, Retail and Industrial properties. In this role, he served as audit liaison for the firm's multiple annual audits, and coordinated the due diligence process on new Self-Storage Facility acquisitions. Mr. Perez now serves as Controller for the Sterling Real Estate Multifamily investor platform and BPG Storage Solutions portfolio and manages the underwriting process for new Self- Storage acquisitions. Mr. Perez graduated from California State University, Los Angeles with a BS in Accounting and a Minor in Economics in 2004. Karla Riddle has more than 20 years of property management, leasing and marketing experience in the commercial real estate field. The majority of her focus has been in the office sector, but she also has extensive experience using her expertise in the retail, industrial and executive suite sectors as well. Ms. Riddle joined the Barker Pacific team in January 2015 and played an integral part in the repositioning, disposition and acquisition of several large assets during her tenure, along with management and leasing of 7 office buildings in Pasadena, Westlake Village, La Quinta and Roseville, California, a total of approximately 500,504 SF with 85 office/retail tenants. Her responsibilities as BPG property manager have included due diligence, budgeting, capital and tenant improvements, maintenance coordination, lease compliance, and Lease Contract negotiations. Ms. Riddle manages 626 Wilshire in Los Angeles. She holds a Bachelor’s of Science in Business Management and has a California Real Estate License. Stephanie Nordberg serves as the Property Manager of Olympus Corporate Centre, a Class A office project located in Roseville, CA. Ms. Nordberg brings with her over 20 years of combined experience in commercial, retail and residential real estate and property management. Prior to joining Barker Pacific Group in 2017, she assisted in the management and operations of over 600,000 square feet of retail space. Ms. Nordberg holds an Associate of Arts degree in Business/Accounting from Cosumnes River College. Sheri Taylor serves as the Property Manager of Lava Ridge Business Park, a three-building Class A office complex located along the Douglas Corridor in Roseville, CA. Ms.Taylor handles all property management and operational duties, financial reporting, tenant and vendor relations and oversees maintenance for Lava Ridge. Ms. Taylor recently joined Barker Pacific Group and brings solid experience managing commercial properties in Roseville. Prior to joining BPG, she was employed by several commercial real estate management and development companies, including CBRE and Citadel Equities Group. Ms. Taylor has her California Real Estate license and holds a Bachelor of Science degree in Communication from Ohio University. Kelly Lentz currently acts as the Property Manager of 301 N Lake Ave, a Class A office project located in Pasadena, CA. Ms. Lentz brings with her over two decades of experience managing commercial, retail and residential real estate. In her role at 301 N Lake, she oversees all common area and tenant improvement projects and handles all vendor and tenant relations. Before joining BPG in 2017, she handled the management and operations of over 600,000 SF of commercial space. Ms. Lentz holds a Bachelor’s Degree from St. Cloud State University. She is a BOMA Board Member. Cliff Fleck serves as the Manager of BPG's LA Office and BPG Media Relations. He provides administrative support to every member of the BPG executive team, handles project management responsibilities, and manages public relations and marketing for various projects and BPG’s corporate presences both online and in print. Prior to BPG, Mr. Fleck worked as a college professor, teaching English and Writing, and Philosophy. He also spent years working on the Tonight Show with Jay Leno as a Backstage Manager. Mr. Fleck holds a Bachelor of Science degree in Literature from UC Santa Cruz and a Master’s degree in Writing from Loyola Marymount University. Alex Bacon serves as Project Manager for Barker Pacific and supports the acquisition team in the underwriting, construction, and management of assets across each property type. He is primarily focused on budget planning and oversight for various acquisition and development projects. Prior to joining BPG, Mr. Bacon functioned as an analyst for a BPG-affiliated Phoenix-based developer, Pacific Real Estate Partners, focused on the acquisition and redevelopment of multi-family assets throughout the Southwestern United States. His role involved anything from prospecting new deals and conducting due diligence to fielding project bids and managing budgets. Mr. Bacon has additional experience in lease administration, facilities management and construction. Mr. Bacon holds concurrent Bachelor of Science degrees in Finance and Supply Chain Management from Barrett, the Honors College at Arizona State University. Maggy Russo serves as the Property Manager of the Mesa Tower, a Class A office project located in Mesa, Arizona. Ms. Russo leads the coordination of all operational aspects of the Mesa Tower, including lease negotiations, tenant improvements, construction projects, and vendor relations, as well as handling accounts payable and receivable. Before joining the Barker Pacific team in 2017, she handled property management responsibilities for various projects totaling over 500,000 square feet. She also worked as a college educator in the Phoenix area. Ms. Russo holds degrees in Accounting and Business Administration. Will Dickinson works closely with BPG's office, multifamily, and storage acquisition teams, handling deal and financing underwriting. He brings experience and expertise to every stage of property acquisition and asset management. Prior joining BPG, Mr. Dickinson was a Senior Associate at Sabal Capital, a member of the sizing deal team that closed $1.5B in multifamily, mixed use, and Target Affordable loans in 2018. He also helped with the bridge product implementation. Mr. Dickinson worked at Freddie Mac in the multifamily division, in both underwriting and production and sales. He formerly worked at Dale Scott & Co., leading financings on California K-12 G.O. bonds. Mr. Dickinson has a degree in Finance from Santa Clara University. Joel W. Stoesser is the Managing Principal of JWS Advisors, LLC, a real estate investment advisory company, and acts concurrently as the Chair of BPG’s Investment Committee. Prior to aligning with BPG, Mr. Stoesser was Managing Director and Head of Investment Advisory Services for Prudential Real Estate Investors (PREI). Mr. Stoesser also was Chairman of the PREI Investment Committee and was a member of the firm’s Management and International Management Committees. During this time, PREI managed approximately $15 billion of real estate investments in all property types in private and public formats. Mr. Stoesser previously served with CIGNA Corporation, where he was a Senior Vice President and Senior Portfolio Manager as Head of Investment Management for External Client Investment Programs in mortgage and real estate. Mr. Stoesser holds a B.A. in economics from St. Lawrence University and an M.B.A. in finance from the University of Hartford. He attended The Executive Management Program at the Graduate School of Business of the University of Michigan. He was a former faculty member of the Graduate School of Business, University of Hartford. He has lectured at the graduate schools of business at Wharton, Univ. of Penn. and the Tuck School at Dartmouth College, Rutgers University, and Boston College. As Project Manager, Brett Kelly is a member of the development team and oversees the management of new construction of large industrial greenhouses and tenant improvements for the commercial, self-storage, and multifamily assets at Barker Pacific Group in California, Texas, and Arizona. He has extensive experience in all aspects of the construction business, including budgeting and estimating, fieldwork, design, permitting, and construction management. Mr. Kelly currently oversees the $95 Million development and construction for Sunniva Production Campus, a 325,000 sf Venlo Style Greenhouse project in Cathedral City, CA. Prior to joining Barker Pacific Group, Brett owned and operated a general contracting firm in Denver, Colorado, where he was responsible for new and existing residential and commercial construction projects. Prior to his growth in Denver, he was in charge of both the Project Management and Preconstruction components at C.W. Driver in Orange County, CA, working on various projects in education, commercial, civic, entertainment, and multifamily. Mr. Kelly graduated from Utah Valley University and majored in Technology Management with an emphasis in Construction Management. Bryan Yoo works closely with BPG’s office and storage acquisition teams, handling underwriting and management of assets. Mr. Yoo brings extensive financial underwriting and capital markets experience to support various stages of the acquisition and asset management processes. Prior to joining BPG, Mr. Yoo worked as a Senior Associate at Archbell Capital, a middle-market bridge lender, managing a pipeline of $9 billion per annum. Mr. Yoo was integral in managing loan originations, finance underwriting, market diligence, loan structure development, loan closings, and asset management. Mr. Yoo is an active Urban Land Institute member in the Young Professionals Group. He earned his MBA, with a dual concentration in Real Estate and Data Analytics, from the University of Southern California. He earned his BS/BA in Accounting and Economics from the University of Maryland. Marii Covington-Jones serves as the Property Manager of City Square, a mixed-use project comprised of 3 office towers totaling 736,809 SF, and a Condominium Association that contains 17 acres, including a hotel and sports club. Ms. Covington-Jones leads the coordination of all operational aspects of City Square, including lease negotiations, tenant improvements, construction projects, and tenant and vendor relations, as well as overseeing the office and engineering staff. Before joining the Barker Pacific team in 2019, she managed City Square for the prior owner. She has over 20 years’ experience in the Phoenix market. Ms. Covington-Jones holds her Real Property Administrator designation from BOMI, is a LEED Accredited Professional from USGBC, and has an Arizona broker’s license.